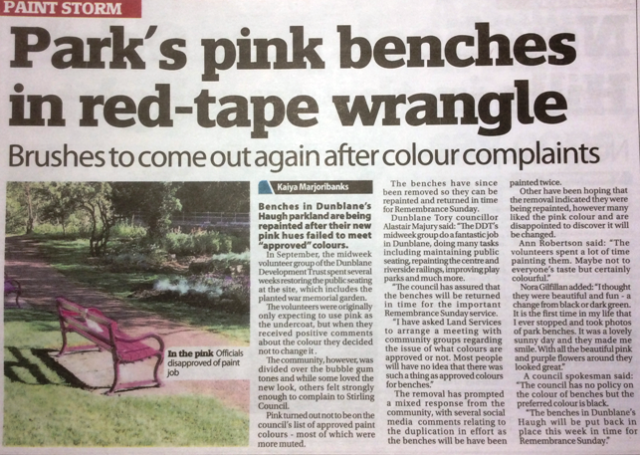 Stirling Observer Picks up the Pink Benches Story ! From Facebook : Dear Stirling Council, please bring back our benches! Hamilton Rach Why did the go ?? Beth Boyd Hopefully to be repainted!!!! Ann Robertson The volunteers spent a lot of time painting them. Maybe not to everyones taste but certainly colourful?? Alan Smeaton Why/who removed them? Does anyone have contact details? Jane Stewart Disgraceful that after all that work the council come in & whip them away without a word & the cost? Council must have money to burn!!!! Karen Patrick They looked great ..
Nora Gilfillan I thought they were beautiful and fun - a change from black or dark green. It is the first time in my life that I ever stopped and took photos of park benches. (I’m glad I did) It was a lovely sunny day and they made me smile. With all the beautiful pink and purple flowers around they looked great .... in my opinion..... but then I love colour ?????????? 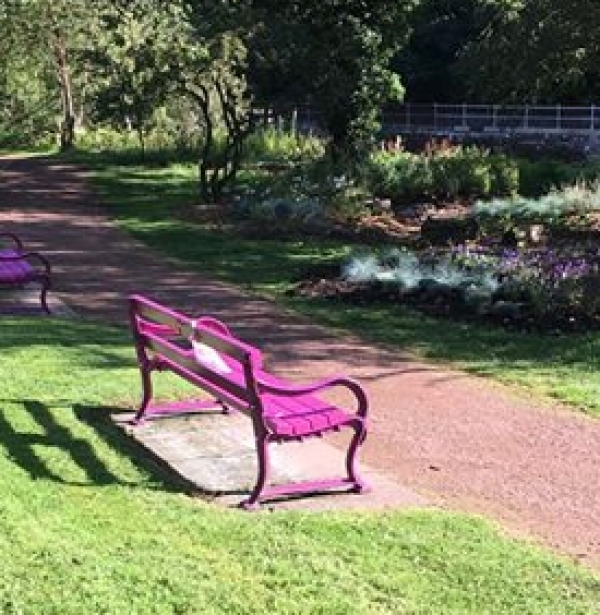 Margaret Lawrie Why have benches been removed and who removed them ?? Where they removed because someone didnt like colour - surely not - made you smile!